An Example of SDE vs. EBITDA vs. In the last issue (#7), we discussed how SDE vs. EBITDA (Earnings Before Interest, Taxes, Depreciation and Amortization) vs. Adjusted EBITDA leads to Multiples Confusion. In this issue we will help provide clarity with An Example of SDE vs. EBITDA vs. Adjusted EBITDA. 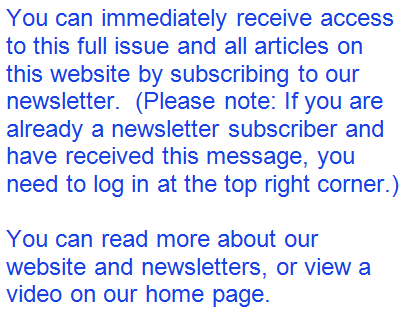 This newsletter issue attempts to clarify why you might hear a business was sold for "6 times earnings" (without mentioning it was based on EBITDA), while yours will probably sell for only 2 - 4 times "earnings" (based on SDE, not EBITDA). The problem is when you hear "6 times earnings", you are not hearing the definition of those earnings (EBITDA, Adjusted EBITDA or SDE). If you need a review of the acronyms, read our previous two newsletter issues, Issue #6 - How Small Businesses Are Valued Based on Seller's Discretionary Earnings (SDE), and Issue #7 - SDE vs. EBITDA vs. Adjusted EBITDA leads to Multiples Confusion. The following example is based on a company with $1,500,000 in sales and $300,000 in SDE (calculations shown below). Based on that level of "earnings" (SDE), the realistic value of the business is $900,000, which is a multiple of 3x (SDE multiplier). However, the calculations in the example below also show a multiple of 6.2x (EBITDA multiplier) and 4.5x (Adjusted EBITDA multiplier). Hopefully this example helps explain some of the confusion that arises in the marketplace regarding "multiples of earnings."